When natural resources management graduate student Teri Anderson signs up as a Peace Corps volunteer next spring it will be the achievement of a lifetime goal. "The Peace Corps has never been an option for me," Anderson said. "I knew early on I would do this. It will be a great opportunity to go somewhere tourists don't get to go and get to know an area." Teri Anderson on the job at the Alaska Public Lands Information Center in Anchorage. The child of two National Park Service rangers, Anderson grew up in Death Valley, California, until the age of 14, when the family moved to Anchorage. For her undergraduate degree, Anderson double-majored in journalism and Spanish at UAF, then was drawn to the Master's International Program offered by the School of Natural Resources and Extension. "The Peace Corps and science equals NRM," Anderson said. "When I searched for Master's International I didn't think UAF had it but when I found it with NRM I said I'm done." In March, Anderson will report to Queretaro, Mexico. Her project will focus on climate change in national parks in Mexico. "It keeps changing," she said. "I hope to write a climate change response plan that includes traditional ecological knowledge. "I'm excited about having a leading role in national parks," she said. "In the U.S., I would start at the bottom but in Mexico I can do things that senior staff would do in the U.S. I can have a big job and get great job experience." Associate Professor Susan Todd, Anderson's advisor, said, "I've been impressed by Teri's determination and resourcefulness.She makes things happen. And she's so congenial and energetic, I think she'll get along fine anywhere the Peace Corps sends her. "She will be working for one of the National Parks in Mexico and is interested in how to minimize the impacts of protected areas on indigenous people, which is a vital area for research. We cannot put walls around enough areas to protect the world's biodiversity. We need to form partnerships with indigenous people to protect more lands while allowing these people to use the area. That's the future of protected area management." 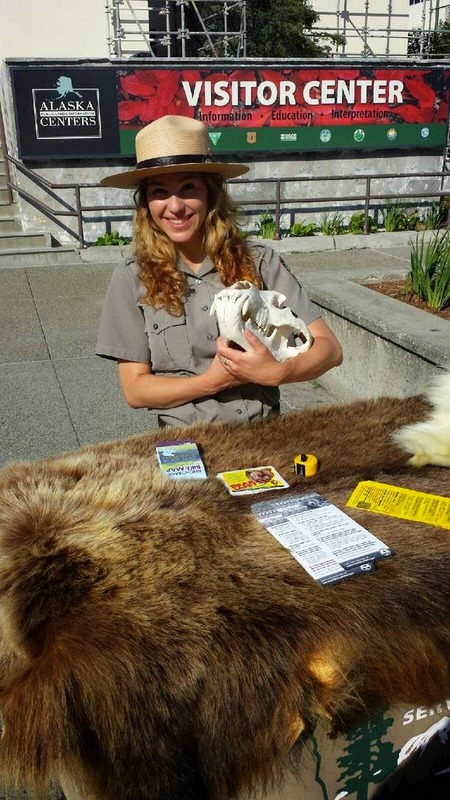 Anderson's summer internship with the Alaska Public Lands Information Center in Anchorage morphed into a job as a seasonal park ranger. "I love interpretation; it's really invigorating," Anderson said. "I love to engage people and teach them." Her career goals are to inspire people to care about the environment and to help others find more meaning in the natural world. "I want to be a meaning maker," she said. In her spare time she enjoys outdoor sports.